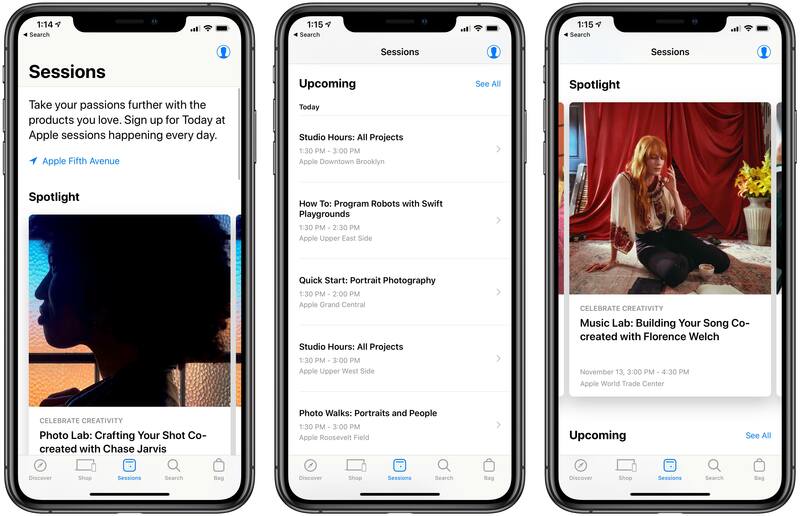 It took nearly 18 months of Apple's regular Today at Apple promotions through keynote events and press releases, but I finally had my interest in the program piqued. As I wrote earlier this month, whereas every other Apple product is analyzed to death by writers, podcasters, and YouTubers, the company's retail stores and Today at Apple program are often ignored by tech media. But Apple's increased trumpeting of its retail initiatives, in the face of a collective shrug from the press, made me wonder what exactly we're all missing out on here. I mean, if the company is passionate enough about Today at Apple to host over 18,000 sessions per week, then there must be something special about the program. So I attended my first session. 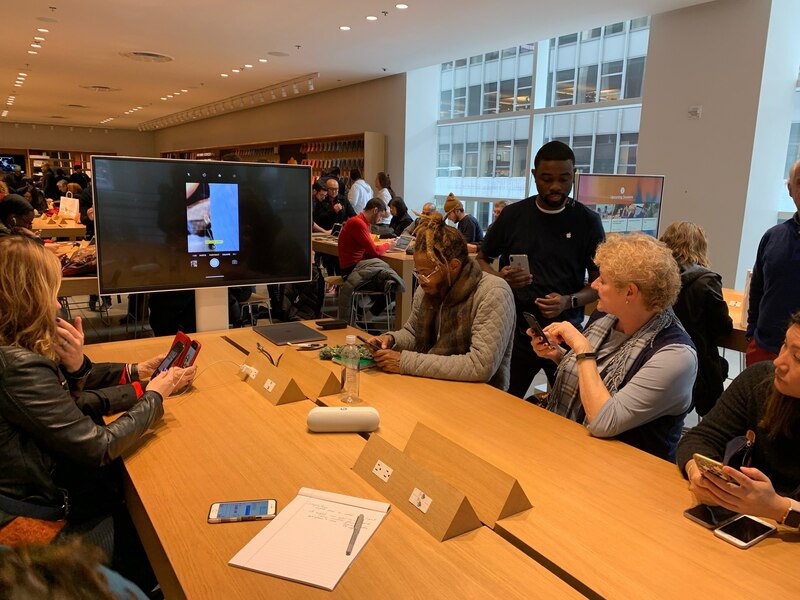 Last Monday morning I opened the Apple Store app and booked a session at Apple Fifth Avenue called "Photo Lab: Crafting Your Shot Co-created with Chase Jarvis." As I suspect is true of most iPhone owners, I love taking pictures with my phone, but I know absolutely nothing about the ins and outs of quality photography. As a result, the Photo Lab session seemed like a great place to start. 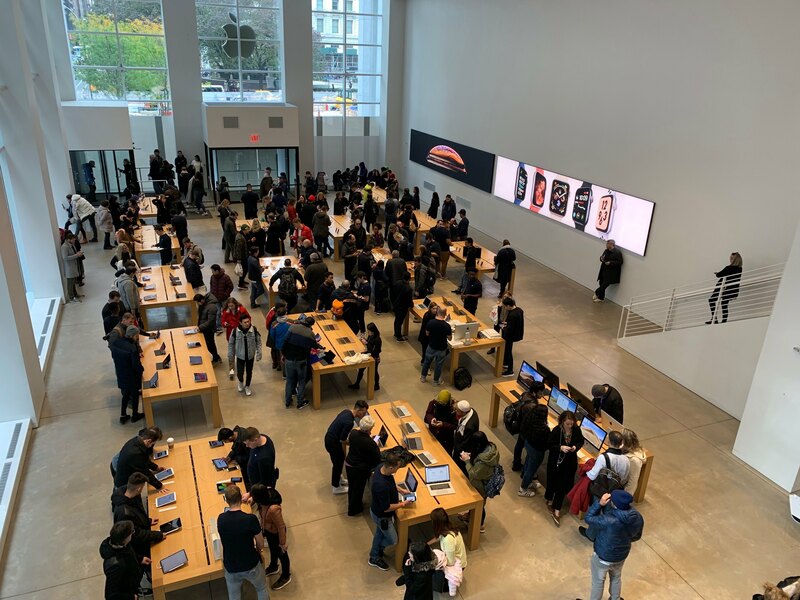 Much of the time when Apple promotes Today at Apple, it highlights sessions taking place in its global flagship stores, with beautiful open forums and enormous wall displays. My experience was a lot more low-key, as the Fifth Avenue location is currently approaching two full years in temporary housing as major renovations to its previous location near completion. While the revamped Fifth Avenue store will undoubtedly come with all the beauty and grandeur of locations like Michigan Avenue and Regent Street, for now the site lacks all those modern bells and whistles; rather than taking place in a forum, my Today at Apple session took place around a small table that sat eight participants. I'm not going to get much into the specifics of the session's contents, which were solid overall; instead, I want to share three simple takeaways from this first Today at Apple experience. They're the three main things that were on my mind following the session, and after rewatching portions of Apple's October event in Brooklyn, I realized that my takeaways actually line up with statements shared by executives at the event. "Today at Apple is...designed to encourage human connection, inspire new learning, and unlock creativity and creative thinking for all generations." The session itself encouraged working with partners, and involved a healthy amount of individual participation as we were each able to show photos we took, or respond to the Creative Specialist's questions. As someone who was already well acquainted with the iPhone’s camera features, I enjoyed getting to assist those sitting next to me who needed a little extra hands-on guidance. For that hour and a half, Apple became a beautiful catalyst for bringing people together. "We're...creating global platforms for local talent. Photographers, musicians, developers, and artists share their creative gifts." It should come as no surprise that sessions on photography, drawing, and music creation would be led by people who are...actual creators, passionate about and experienced in their assigned domains. Yet it still took me aback when the Photo Lab session leader introduced himself by sharing that he works as a photographer when not at Apple. In hindsight, I think that moment of surprise revealed something about how I view Apple. Apple is a technology company, so my expectation was that the Creative Specialist would be trained in technology, but not necessarily photography. Surely it'd be much easier for the company to just give random employees a crash course in teaching the assigned curriculum, which itself was created by the experts. But for this session at least, that wasn't the case. Instead, Apple found a creative expert to lead its training session, which has to be a more challenging hiring practice altogether. The effort is absolutely worth it though. The sense that a teacher knows what they're talking about, and cares deeply about it, makes all the difference in the world. My session leader demonstrated genuine knowledge on both the creative and technological sides of the subject. What especially impressed me was how he taught different aspects of photography by pointing to his own past work, displayed from his iPhone via AirPlay, as examples for the rest of us. "Wow. No one else has anything like Today at Apple." The distinctness of Today at Apple is undeniable. In some of the most beautiful locations of modern architecture, Apple is committing serious manpower toward not only helping customers get more out of their devices, but also, aided by the program's creative bent, Apple is helping customers get more out of themselves. People are being challenged to learn and grow in expressing their creativity, whether through photography, music, videography, sketching, or one of Today at Apple's other subjects. The company's holiday ad this year hits on the same theme: each member of humanity has creative gifts to offer the world, and Apple wants to help empower us all to better do that. What other tech giant has a major initiative like this? It's remarkable to me that my big takeaways from Today at Apple lined up perfectly with recent quotes from Apple's top executives. In the past I've considered some of Apple's statements regarding retail as little more than PR buzzwords, not true goals for the company. Yet after experiencing just a single Today at Apple session myself, I was able to see how these aren't empty words – they mean something to the company. If one session is any indication of a program's success, then Apple is clearly accomplishing its goals for Today at Apple. 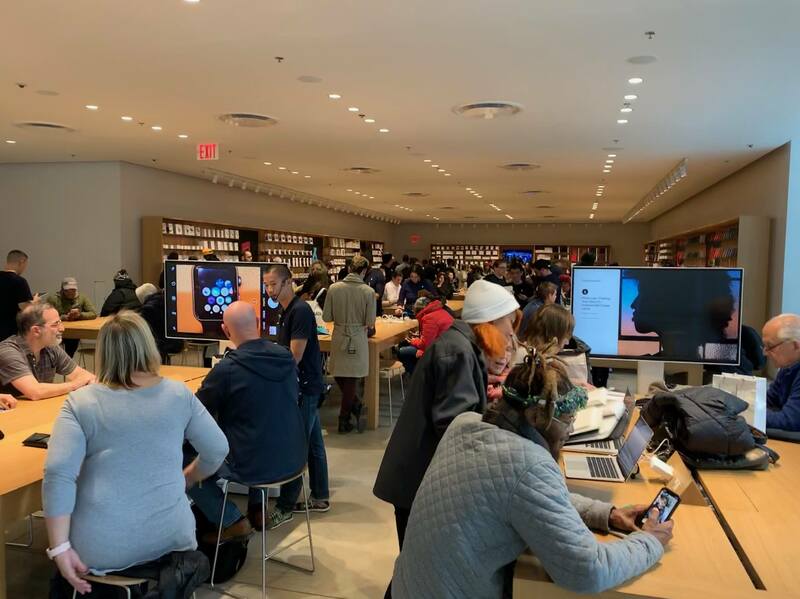 Fostering human connection and promoting local talent are difficult things to do in a retail environment, as is building something distinct amidst such strong competition, yet Apple is doing all three of these things. I'm eager to see what the future holds for Today at Apple as the company continues trekking this path.